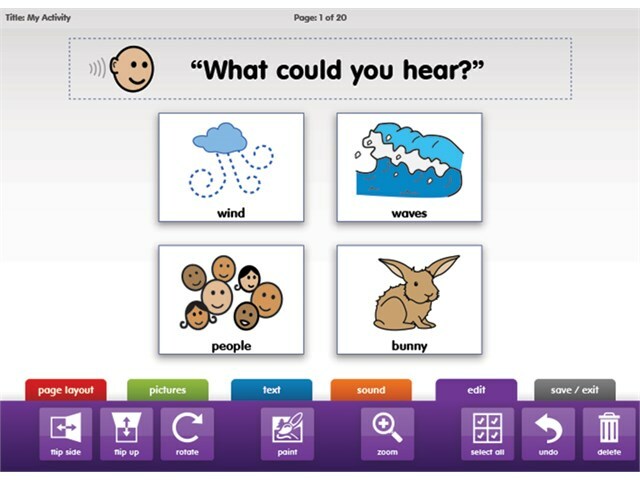 Inclusive Technology/HelpKidzLearn wins top US CODiE Award for Best Solution for Special Needs Students. 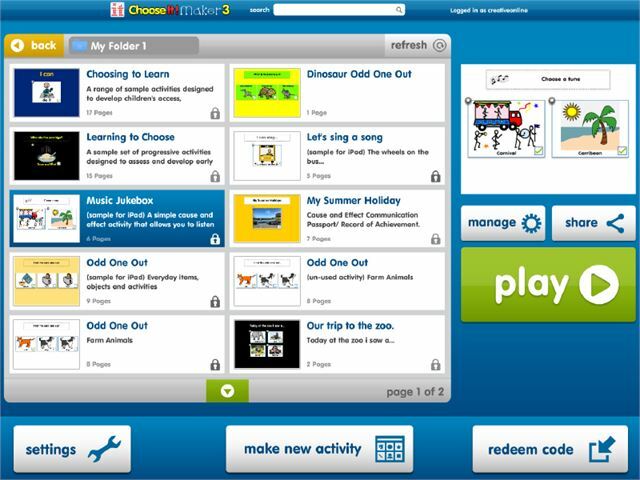 Download your personalised learning activities on to your iPad or Android tablet using the FREE ChooseIt! 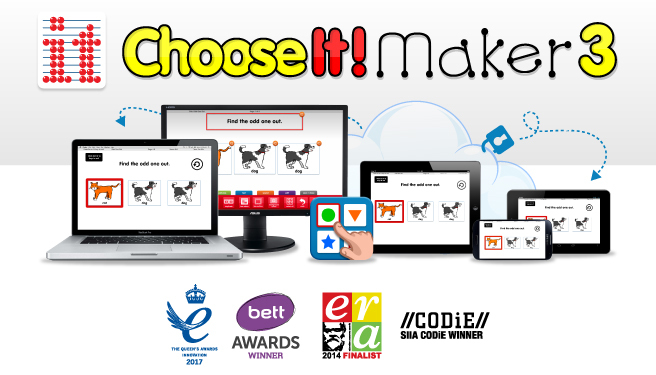 Maker 3 Apps and then use your learning materials OFFLINE anywhere - in the classroom, on a plane or any off the grid locale! CM3 has a new and carefully designed 'easy flow' editor. 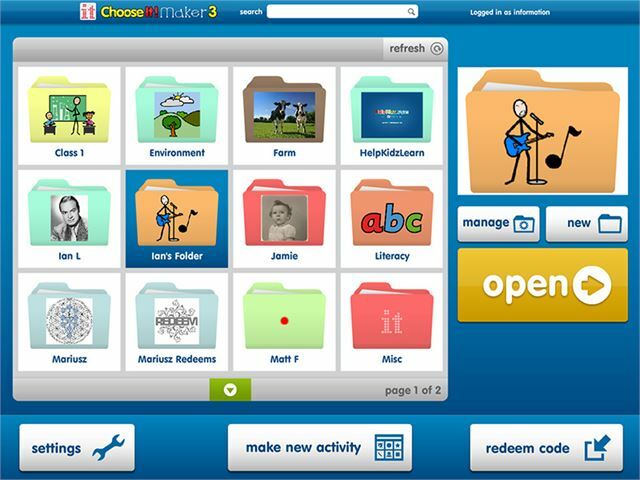 You can take a photo with a webcam, record sounds, draw or paint and make an activity with a child or class in minutes. They can all join in and then proudly present it to the rest of the school, family and friends. As well as allowing you to add your own images, ChooseIt! 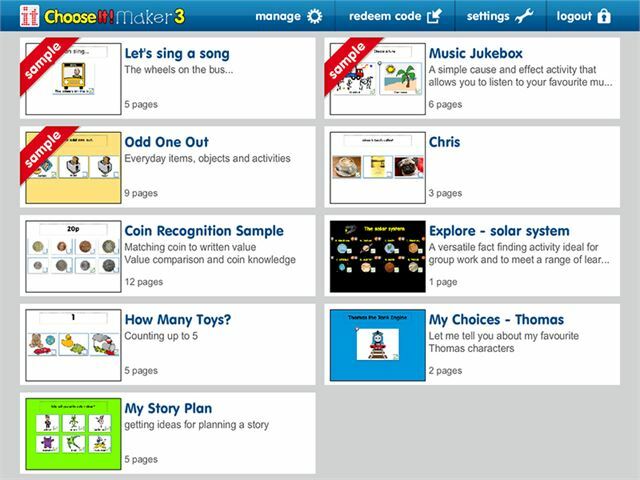 Maker 3 includes a readymade Media Library with over 30,000 symbols and pictures. 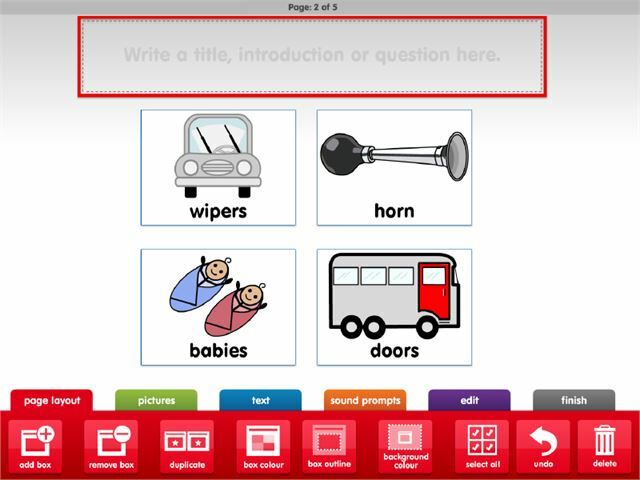 Use Widgit Symbols, SymbolStix Symbols and IT's pictures and symbols to make your activities.